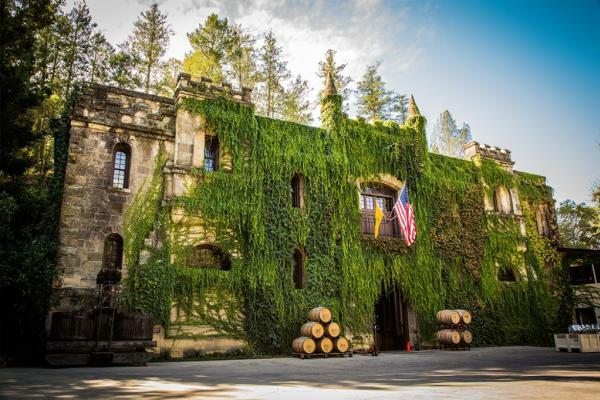 Chateau Montelena – It’s believed that the design for this stately stone structure — constructed in 1888 and designed as a barrel-aging facility — was inspired by the cellar of Chateau Lafite in France, and the architects, stonemasons, and stones were all brought over from that country. Instead of the wood typical of most 19th-century wineries, the Chateau is made of stone with walls three to twelve feet thick. It was designed to resemble an English Gothic castle gatehouse, including rusticated stone walls, a battlement with crenels and merlons, arched windows, a massive arched door for a portcullis, and bartizans with false arrow slits. 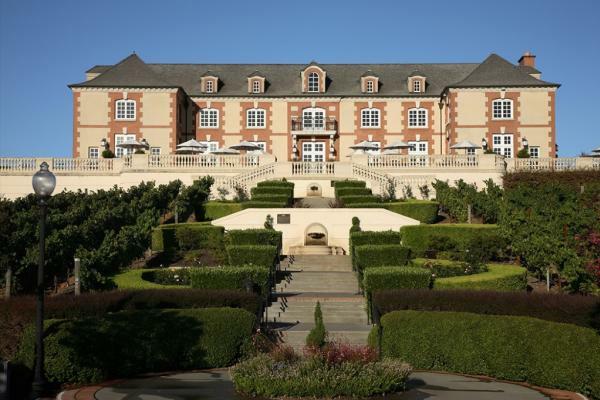 Domaine Carneros – Called “one of Napa’s grandest and most regal wineries,” Domaine Carneros is part-owned by the famous Champagne brand, Taittinger, and was designed as a replica of the Taittinger château in Champagne, France. 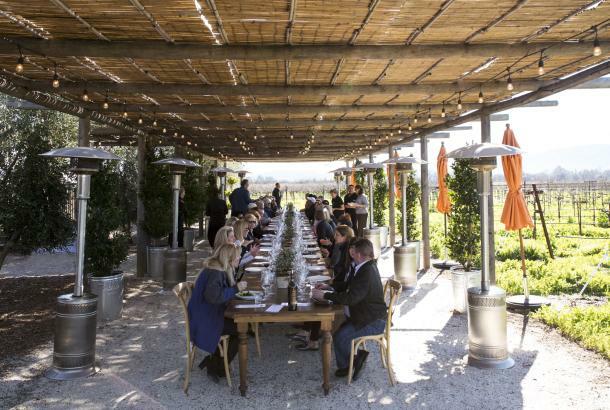 A wrap-around terrace looks over the symmetrical gardens and the whole Carneros region. 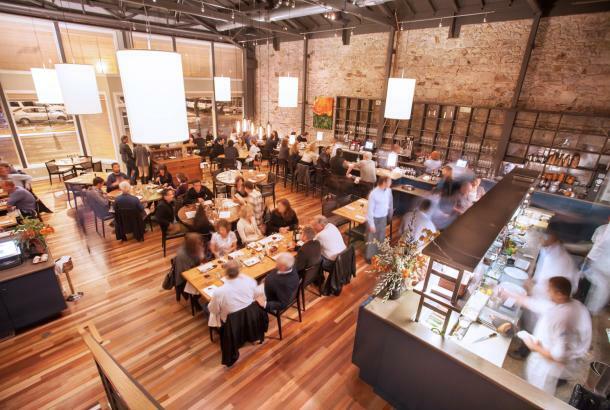 You’ll feel like you’re at Versailles. 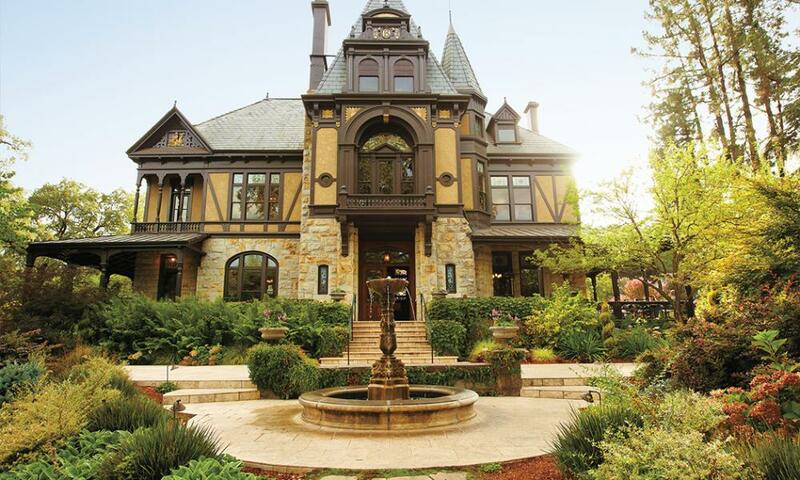 Beringer Vineyards – As you approach this winery you’re immediately faced with the palatial Rhine House, Frederick Beringer’s former residence and now the centerpiece of the whole winery property. With this 17-room mansion, Frederick sought to replicate the Beringer family’s impressive German home at Mainz-on-the-Rhine. 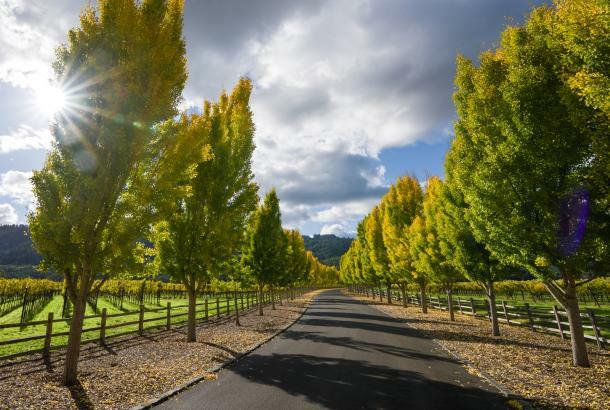 It was built in 1884 by architect Albert Schroepfer – who’s buried in St. Helena’s nearby cemetery – for about $28,000. 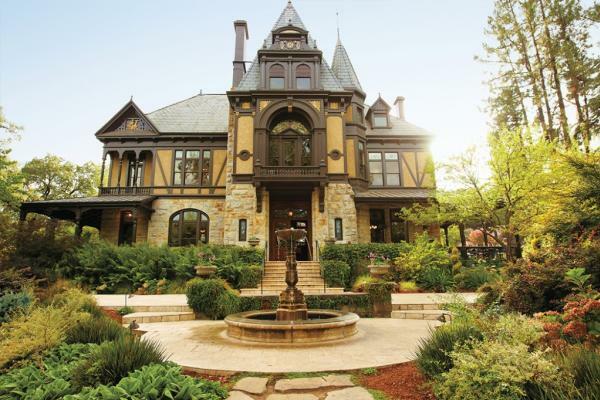 The Rhine House is considered a classic example of ornate Victorian architecture with its gables, turrets, ornaments, beautiful exterior stonework, stained-glass windows, and interior wood paneling. 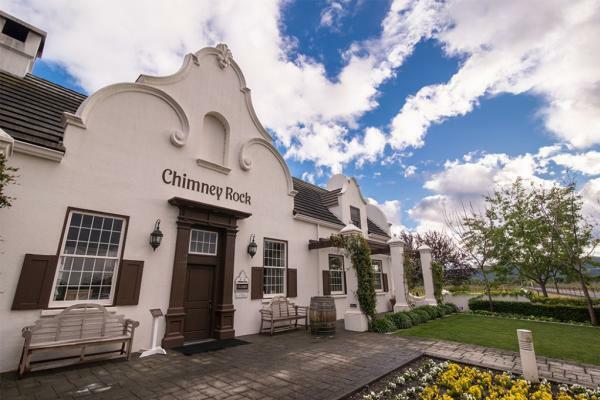 Chimney Rock Winery – Drive north on the Silverado Trail as the afternoon light catches this pristine white estate against the Vaca Mountains, and you’ll swear you’re in South Africa. 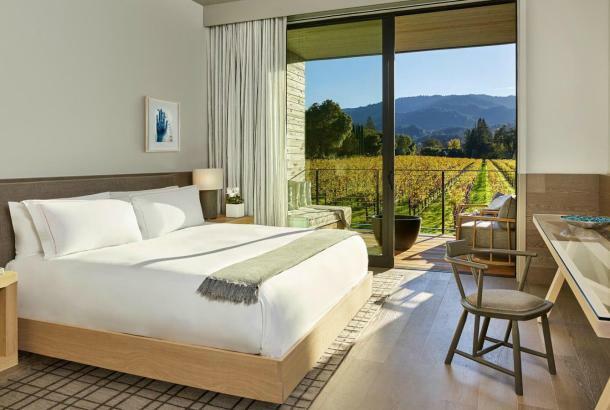 The graceful gables and bright stucco exteriors are classic elements of the Cape Dutch-style of the Western Cape of South Africa, which are typical of many wineries in the Stellenbosch region, reflecting the winemakers’ roots in Holland, Germany, France, and Indonesia. Darioush – Further south on the Silverado Trail, you may suspect your eyes are playing tricks on you when you spot this dramatic Middle Eastern confection. 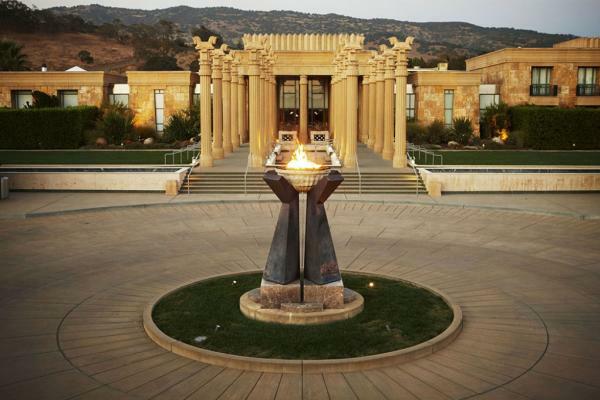 Owner Darioush Khaledi grew up in Shiraz, a wine-producing region in Iran, and today his winery design is inspired by the wine culture and history of ancient Persia paired with the winemaking influences of Bordeaux. 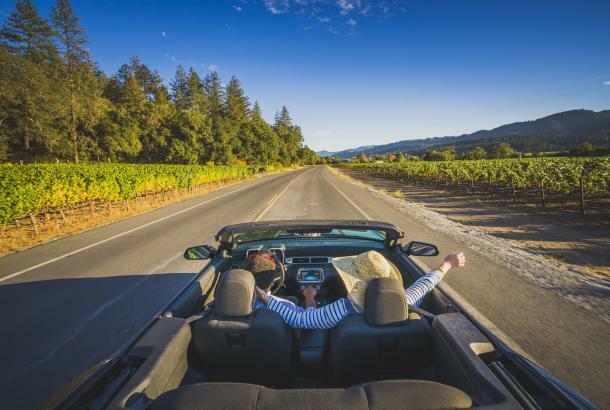 Castello di Amorosa – Often called “Dario’s folly” by the locals, this spectacular estate will make you feel as if you’re exploring a hill town in Tuscany or Umbria. 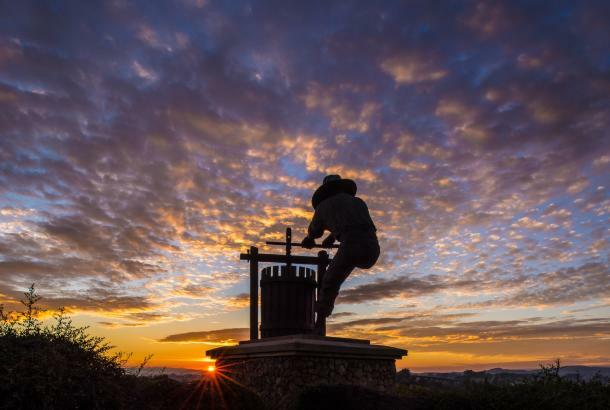 The 13th-century-style winery grew from owner Dario Sattui’s passions for Italy, medieval architecture, and wine. 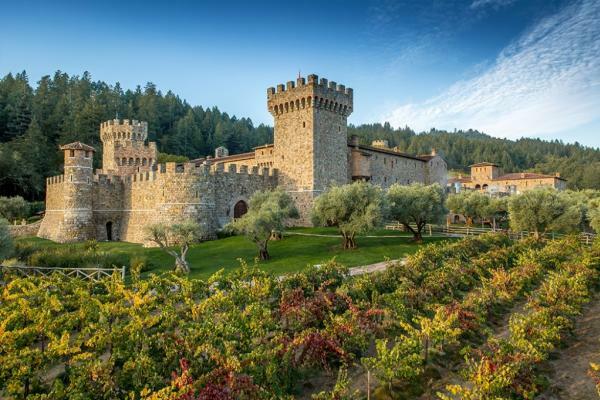 Sattui is a fourth-generation Italian winemaker, and it took him more than three decades to build the castle, but the final result is astonishing, The property includes 107 rooms, a banquet hall, a dungeon and torture chamber, and a 15,000-square-foot wine cave. Most of the materials and craftsmen were brought over from Italy.